It happens every year: the holidays roll around, and you find yourself thinking about that list of people you really ought to appreciate in some small way. Often, these are the folks who make a difference in our lives but whom we don’t know too well: coworkers, our children’s teachers or instructors, neighbors, relatives we don’t see often, or maybe your hairdresser, mail carrier, or babysitter. Perhaps you’re also the type who loves to “gift” your circle with some small token. And let’s not forget that awkward moment when someone has a gift for you, but you’ve bought nothing for them! Most of the time, it’s easiest to come up with one gift (or a couple of set options) that we can acquire in bulk for these occasions. Gift cards are a safe choice, but I know I’m not alone in considering them a bit boring—and the costs can add up. Decadent baked goods are one possibility, and some love them, but it’s not the right choice for those who have allergies or are watching their weight. Many people are tired of generic candles and mugs. This year, why not share the joy of citrus with these acquaintances? Of course, one of our fantastic gift boxes, baskets, or cases is the perfect choice for your close relatives, friends, and key business associates. Try our Florida Sunshine Box or our Christmas Tree Deluxe! However, it’s not always appropriate to go all-out for smaller gifts such as these (though some of our options, like the Fruit Sampler or the Tangerine Special are very reasonably priced). 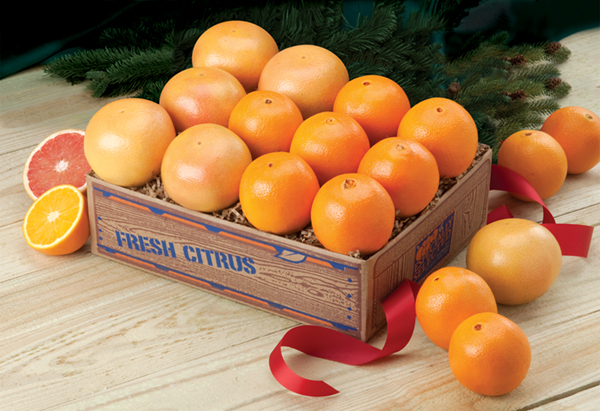 Instead, handle a number of gifts by ordering several trays of our fantastically special Page oranges (a truly gourmet variety they’ve likely never tasted), our bright and juicy tangerines , or our classic favorite navel oranges and shipping them to yourself. Then pick up some pretty baskets at the thrift store (or repurpose baskets and boxes you already own). Line them with tissue paper or raffia and place three to five citrus fruits inside. Another option is to gather and tie the fruits in a pretty, inexpensive dish towel in bright citrus colors. With a cute gift tag, this will look beautiful and seasonal and set you back less than $10 per person. You know the citrus will be absolutely delicious and perfect, and your recipient won’t feel guilty about enjoying it! Of course, if you’re the type who loves to get crafty and make something, oranges and citrus offers lots of great opportunities here, too. Last year, we showed you how easy it is to make gourmet citrus salt and citrus sugar. Packaged in a pretty mason jar with a ribbon, these make perfect and inexpensive gifts for your foodie friends. If you prefer to go with a more beauty-oriented gift, our citrus sea salt scrub is also a cinch to make, keeps your skin smooth and soft, and smells incredible. Or if soap-making sounds fun to you, check out this very simple glycerin-based Orange Zest Lemon Soap, made in a double boiler. All of these gifts are made from the rind of the orange, meaning you still get to enjoy the rest of the fruit. 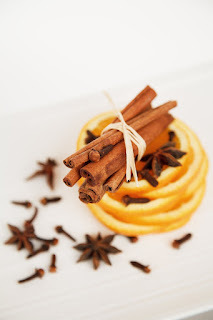 Why not order some of our perfect citrus and make use of the peels for these holiday treats? Or, what about a gift to keep your friends’ and acquaintances’ homes smelling wonderful—without any weird chemicals or ingredients you can’t pronounce? These adorable bags of stovetop simmer spices, featuring a whole orange, whole nutmeg, cinnamon sticks, and cloves, look so cute and would be really easy to put together. Finally, if you do want to bake, there are so many incredible citrus options out there that we can’t begin to cover them in this post (and won’t try!) Look for a special feature on citrus Christmas treats soon, but for now, I’d like to share a few personal family favorites with you. I made these cranberry-orange cookies last year for gift boxes, and they were my favorite of the whole bunch. There’s something about the sparkle that makes them so festive, too. 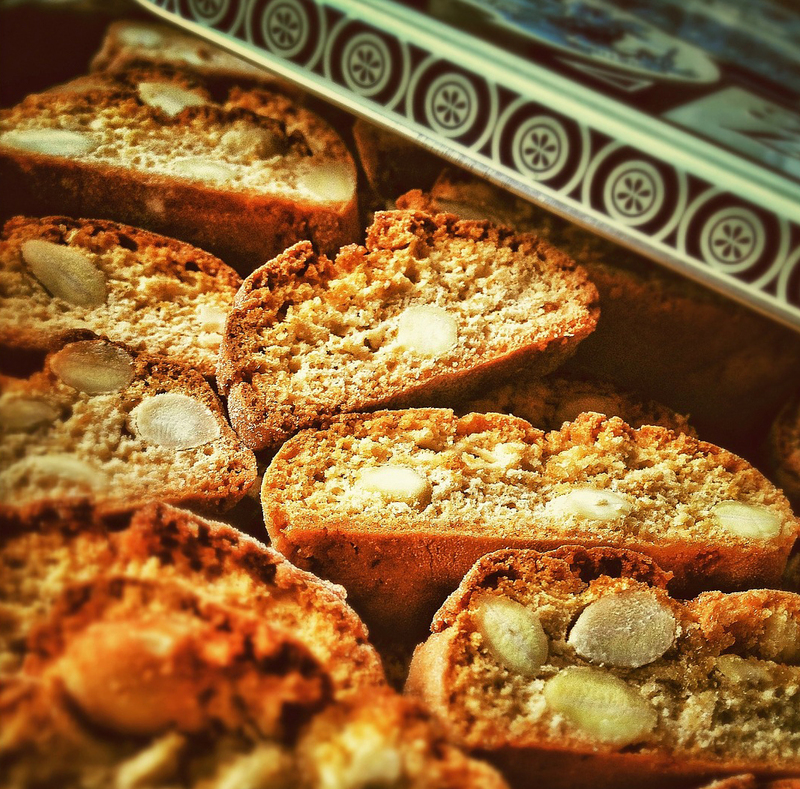 I was surprised by how much my children loved them.Another cookie my children ask for that you might not expect them to is biscotti! The homemade version really bears no resemblance to the ones you find lurking in glass jars at coffee shops (you know, the ones that have been there since the beginning of time). They’re slightly fiddly to make, but a nice thing about them is that recipes tend to produce a lot and be rather frugal. 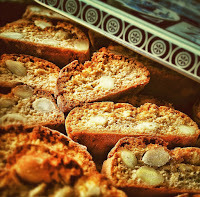 Here’s a lovely-looking orange-almond biscotti recipe. Oranges and citrus have been associated with Christmas and the holidays for generations. They’re fragrant, beautiful, delicious, and good for you. Every home ought to have these seasonal fruits on hand for enjoying and gifting during the holiday season. Order a tray, basket, or box from Florida Fruit Shippers today. What’s your favorite holiday? Although my children’s wild enthusiasm for Halloween is infectious, and I love all the sweet family traditions of Christmas, there’s something about Thanksgiving that’s really won my heart over the years. It’s funny, because it wasn’t at all my favorite when I was a child. In fact, I have to confess that I once considered the day stuffy and boring. But as I’ve grown older, the simple pleasure of gathering with friends and family for a day of togetherness and delicious food has come to mean a lot to me. I’m only halfway a traditionalist when it comes to the food on the table at Thanksgiving, though. There had better be stuffing and pie, but I definitely like to mix things up and try new recipes. One dish I do find it hard to be without is my mother’s simple cranberry relish. There’s nothing especially fancy about it—in fact, the recipe comes off the back of the cranberry bag—but its bright tang is a perfect complement to the other rich flavors on the Thanksgiving plate. What makes the relish perfect is the inclusion of a whole seeded orange. As a matter of fact, seasonal citrus marries beautifully with every course on your Thanksgiving table. Dishes featuring fresh Florida oranges, tangerines, and grapefruit add a light, bright note to what can be a heavy meal. These fruits have just come into season and are fresh, juicy, sweet, and at their peak. The gorgeous fall color is another beautiful bonus. Read on for a cornucopia of delicious ways to incorporate fresh, seasonal citrus into your Thanksgiving celebration. You’ll want to make these recipes a new tradition. What could be easier and prettier than using fresh citrus? Try a wooden bowl full of fresh oranges and pine cones, or a rustic table runner set about with oranges, tangerines, small gourds, greenery, and candles. If you’re setting a more formal table, small tangerines or Page oranges tagged with names cards (wrap the fruit in pretty tissue paper, then tie with decorative twine and attach the tag) make for gorgeous named settings, with a small gift built in. 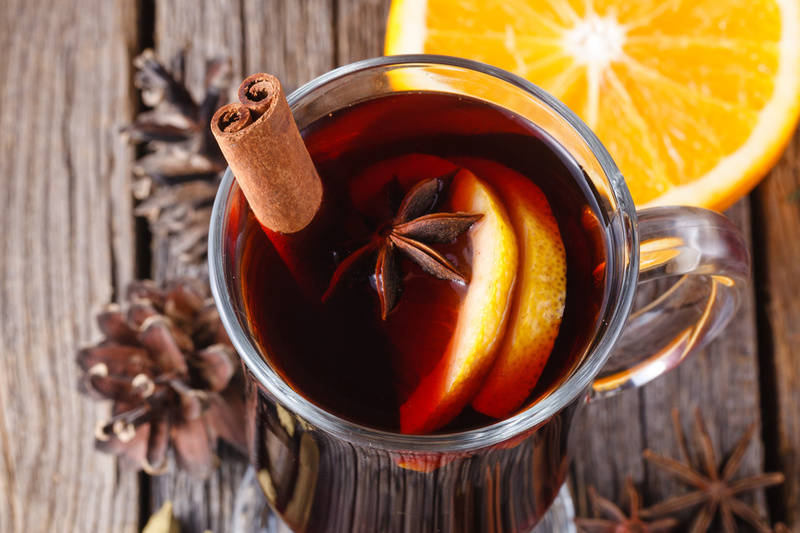 Cranberry-orange mulled wine is truly a special holiday treat. This cranberry-orange mulled wine, made with Cabernet sauvignon, brandy, spices, and fresh- sliced oranges, is a special, deeply warming treat, perfect for celebrating. It can be served cold as a sangria if you’re living the Florida lifestyle! After dinner, try this bourbon citrus hot toddy, made in the slow cooker for the ease of the bartender. And for those who prefer not to drink alcohol, how about this refreshing Grapefruit Mojito “mocktail” or a “virgin mimosa”--a mix of sparkling white grape juice and freshly-squeezed orange juice? Every Thanksgiving table needs at least one beautiful colorful salad to balance out all the turkey and buttery side dishes. Don’t make this an afterthought—instead, embrace the beauty of winter produce and fruits and create a gorgeously bright, refreshing dish, like this beet and tangerine salad with cranberry dressing, this crisp but luscious platter of oranges, fennel, and avocado, or this showstopper citrus-kale salad, featuring goat cheese, ruby red grapefruit, baby kale, and a fresh orange juice dressing. 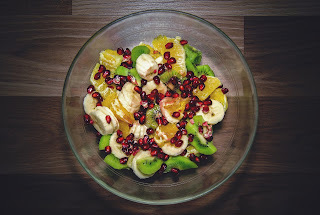 Oranges can add a splash of flavor and color to any salad. 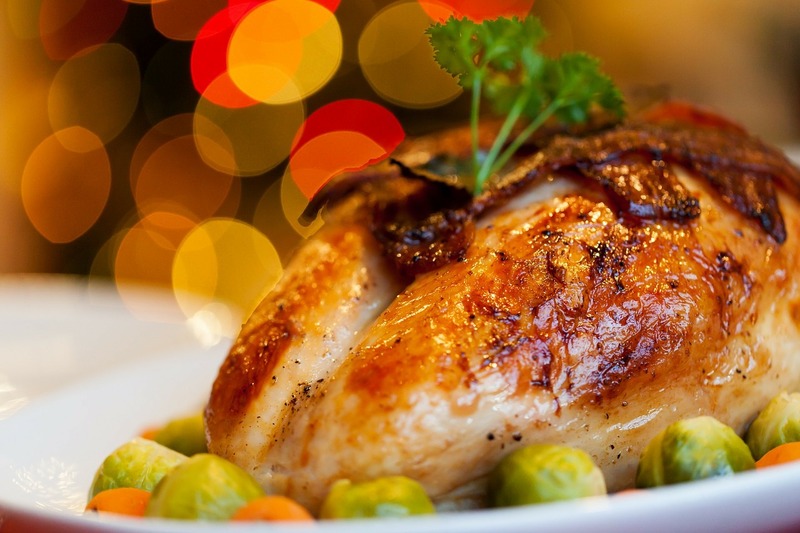 Citrus is a perfect addition to your Thanksgiving bird. Citrus also pairs perfectly with poultry! This brandy and tangerine-glazed roasted turkey includes so many delectable sounding ingredients—fresh tangerines, tangerine marmalade, and fresh sage, chives, rosemary and thyme—wow! The dish starts off with a cider and citrus brine. If you haven’t tried this technique, you really should—it makes for a moist, well-seasoned bird. If that tangerine masterpiece seems like too much, go simple and opt for just the brine and roasting, or try this one (which uses only the orange peels, so you get the juice and flesh for another purpose). But wait…have you got vegetarian guests this year? Even a vegan? Never fear. These citrus-tamari tofu steaks with rosemary and warm satsumas (feel free to sub in tangerines if that’s what you have) are fast and easy and absolutely Thanksgiving-appropriate, even for those who do not eat dairy, egg, or grains. Citrus pairs naturally with sweet potatoes, carrots, or squash. This year, why not try out this citrus candied yams recipe, made a bit lighter and brighter with the tang of fresh orange? And if you enjoy carrots at Thanksgiving, these citrus maple-glazed ones (roasted in the oven with tangerines!) look delectable. Not everyone love brussel sprouts, but for those who do (and I’m one! ), these orange-glazed brussel sprouts with butternut squash will look irresistible. Finally, let’s not forget the cranberry sauce, since cranberry and orange are meant for each other. If you enjoy a cooked version, this simple orange-cranberry sauce will be the perfect accompaniment to your bird. But if you’d like my mom’s classic recipe, the one it isn’t Thanksgiving without in my book, here it is. It’s so simple, but adds sparkle to your plate. Cranberry-orange cakes are festive show-stoppers! You’ve tried pineapple upside-down cake, but what about a citrus upside-down cake? This simple but beautiful recipe can feature oranges, grapefruit, tangerines or clementines, and would be wonderful with whipped cream or ice cream. Hosting guests who eat gluten-free? This moist, fragrant almond-based tangerine cake has no exotic flours or ingredients; it’s based on an old Spanish recipe that’s naturally flour-free, and every guest will love it. No one can resist a pecan pie, but if you’d like to gild the lily, try this bourbon-orange pecan pie. 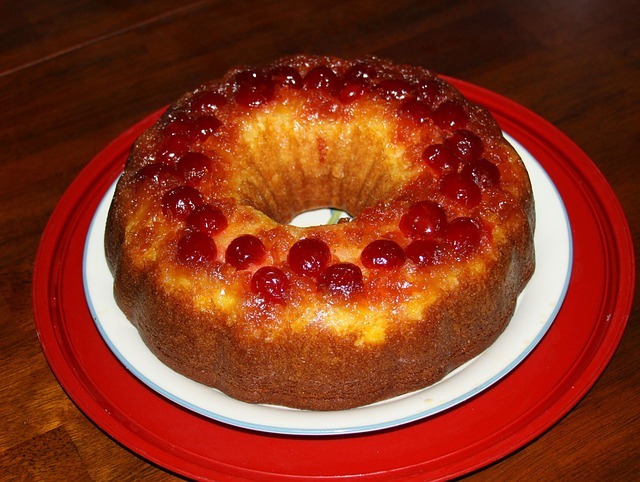 Finally, if you didn’t make that cranberry-orange sauce for a side dish, or even if you did, why not add this beautifully festive cranberry-orange cake to your holiday dessert table? The taste is pure holiday season. I don’t know about you, but I’m absolutely starving now and can’t wait for Thanksgiving to come. The only problem is that I’m really not sure how to choose which of these incredible-sounding recipes to make—maybe all of them? Enjoy the bounty of fresh Florida citrus around your holiday table. 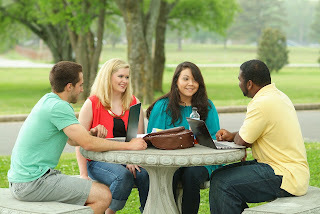 Got a new college student living away from home for the first time this year? If so, you know that the experience of sending your son or daughter off to school (didn’t you JUST bring that baby home from the hospital?) can be an emotional roller-coaster for parent and child alike. Some days, it may seem like your student has no interest in telling you the first thing about his or her life. The next day, your cell phone may be ringing at midnight with a teary kid on the other end of the line. Among the many ways you can be a helpful and supportive parent, sending a care package is a favorite. Every student out there loves to get a care package for home. I don’t know about you, but I was always jealous of the kids I saw picking these up in the mail-room when I was in school! Of course, there are all kinds of ideas out there for care packages—quarters for laundry, fancy coffee, deluxe toiletries, replacement school supplies, and on and on. But no one can deny that “tasty snacks” is probably near the top of the “most wanted” list for most college students. 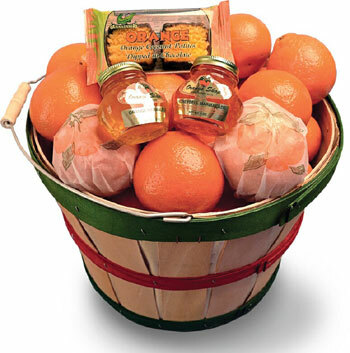 So here’s a great suggestion: why not send a fresh, delicious, and incredibly healthful gift box of Florida oranges, tangerines, or Honeybells to your student? This different but delectable care package will be appreciated by your student and his or her roommate, housemates, or fraternity or sorority brothers or sisters alike. Florida citrus is the perfect choice for busy, stressed-out students. Our sweet, juicy, easy-to-peel fruit is delicious and picked at the peak of perfection. Plus, unlike typical dorm snacks and junk food, Florida oranges, tangerines, or grapefruit are absolutely great for them, and all that vitamin C will their immune system. Remember, while there’s nothing wrong with a box of mom’s homemade cookies once in a while, your student is now in a food environment that’s often unhealthy. The cafeteria probably has some good choices, but also lots of unhealthy ones as well. Parties and social events are likely to be heavy on salty and fatty snacks. And who out there didn’t eat a lot of Ramen and cheap pizza in college? 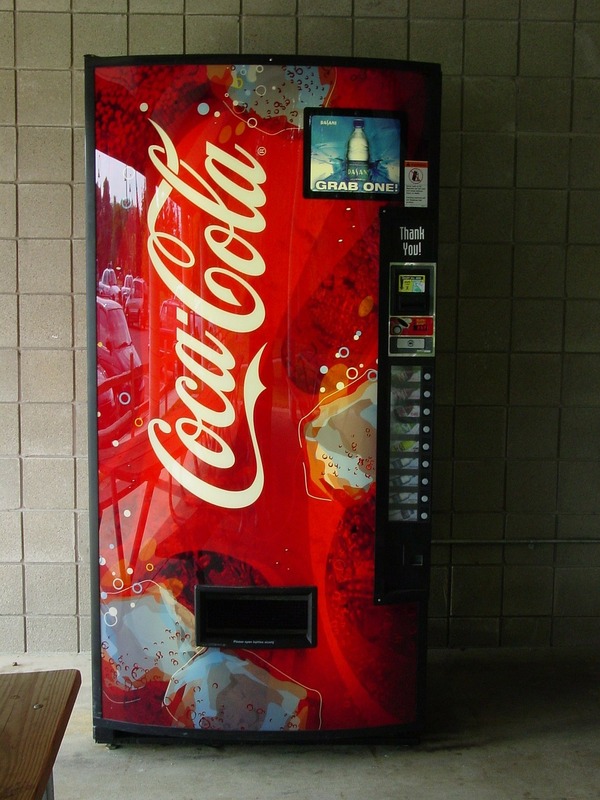 In fact, many college students turn to emotional eating to relieve stress, or rely on high-fat “comfort foods” that remind them of home. Simply put, they may use food to self-soothe. Alternatively, without parents there to guide them, some kids may just forget to include vegetables and healthy fruits like Florida oranges in their diets. Time pressure is a factor, too. If your student is an athlete or has a part-time job or a very demanding course load, it can be almost impossible to find time for healthy meals and snacks. 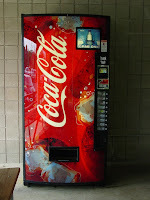 They may rely on Cup O’Noodles and vending machine candy instead. Many students also find it almost impossible to stop in at the grocery store and pick up the fresh produce we all need for good health. For a much better option, send your student one of our beautifully packaged boxes or baskets of sweet, fresh, healthy citrus. If a pick-me-up “taster” box seems the best choice, try our Fruit Sampler, packed full of juicy, tangy oranges, tangerines, and grapefruit. For a larger box to share, why not send a few trays of Tangerines and navels? Having a student away at college represents an incredible success on the part of both parent and child, but at times it can be hard on mom and dad. After all, we still want to nurture the sons and daughters we love so much. Sending a delicious gift basket or box to your young adult reminds them that you love and care while also maintaining healthy boundaries. Enjoy the “thank you’s”!